Mumbai (Maharashtra) [India], Aug 07 (ANI): Bombay High Court on Tuesday rejected 1993 serial blasts convict Abu Salem's plea, where he sought a 45-day parole to get married. Mumbai (Maharashtra) [India], Aug 07 (ANI): Bombay High Court will on Tuesday hear matter filed by 1993 serial blasts convict Abu Salem, where he has sought a 45-day parole to get married. Mumbai (Maharashtra) [India], July 27 (ANI): Gangster Abu Salem has slapped a legal notice on the makers of the movie 'Sanju', for allegedly portraying wrong information about him in the movie. New Delhi [India], June 7 (ANI): A Delhi court on Thursday sentenced gangster Abu Salem to seven years rigorous imprisonment in 2002 extortion case. New Delhi [India] June 2 (ANI): A Delhi Court on Saturday deferred the hearing in the 2002 extortion case involving gangster Abu Salem till June 7. New Delhi [India], June 2 (ANI): The Patiala House Court will on Saturday hear the arguments to decide the quantum of punishment to gangster Abu Salem in an extortion case. New Delhi [India], May 30 (ANI): A Delhi's Court on Wednesday deferred the hearing of gangster Abu Salem's extortion case till June 2. New Delhi [India], May 26 (ANI): A Delhi Court on Saturday convicted gangster Abu Salem in the 2002 extortion case. New Delhi, [India] Apr 28 (ANI): Delhi's Patiala House Court Saturday deferred judgment in the 2002 extortion case involving 1993 Mumbai blasts case convict Abu Salem till May 04. New Delhi [India], Apr. 21 (ANI): A Delhi Court on Saturday deferred pronouncement of order in the 2002 extortion case involving 1993 Mumbai blasts case convict Abu Salem till April 28. Mumbai (Maharashtra) [India], Apr. 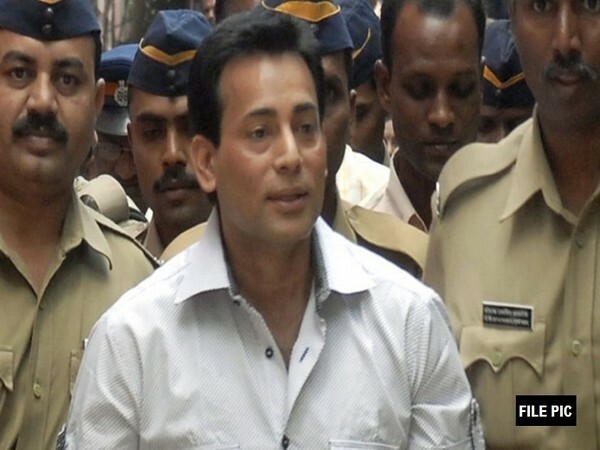 21 (ANI): Navi Mumbai Commissioner on Saturday rejected 1993 Mumbai blasts case convict Abu Salem's parole application which he applied for his marriage. New Delhi [India], Apr 9 (ANI): The Patiala House Court on Monday deferred order in the 2002 extortion case, due to unavailability of the concern judge.